For a deeper understanding insert your adversaries in the place of sin, “…that we may no longer to enslaved to our adversaries…” just as the death of a loved one lingers in our memories so will our adversaries, however they become living witnesses of the Loving Compassion of Jesus who died that we may have life and have it abundantly. Perhaps you’re wondering how can someone like me with pulmonary fibrosis be living a life of abundance? After all its slowly squeezing the life out of me, however abundance of life is not based on health, wealth, or any THING else, it’s simply based on the Glory of God Jesus and the Holy Spirt instills within us. 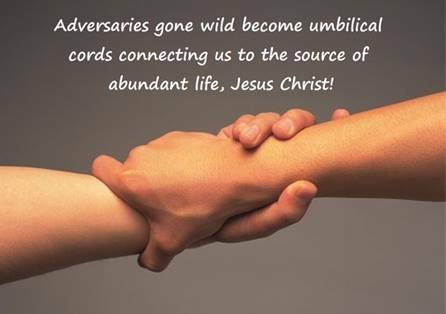 Adversaries gone wild become umbilical cords connecting us to the source of abundant life, Jesus Christ! Father God, into Your Hands I entrust my spirit! Jesus knew what was going to happen to Him, He knew the agony, the pain, and humiliation He would experience but unlike Jonah Jesus said, “We’re going up to Jerusalem!” As we reflect on our lives we’ll discover during those “dark and stormy nights” when we suffered pain of some sort were Blessings. 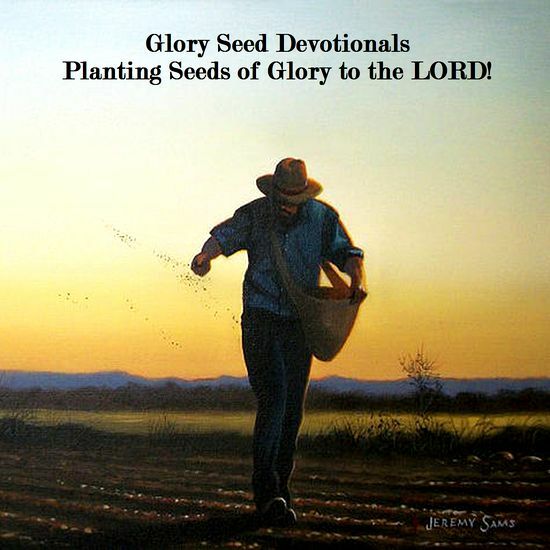 I remember while battling Myasthenia Gravis an elderly man stood in a worship service and asked God to heal me, immediately I prayed in return, “Not now God, please I am growing spiritually.” It would be years later before it went into remission. There is one word I associate with the Passion Week, a word we are taught and encouraged to never do and that is surrender. Jesus surrendered His life not only for us but also to us. Jesus ENDURED the emotional, mental, and physical pain associated with His death on the Cross that we might have life and have it abundantly.